During a stroke, the blockage or rupture disrupts the blood flow preventing oxygen from being delivered to the area of the brain affected. The section of brain tissue deprived of oxygen (blood flow) becomes “stunned” and no longer functions properly. Penumbra builds devices to remove blood clots from inside the brain and enable a speedy recovery. 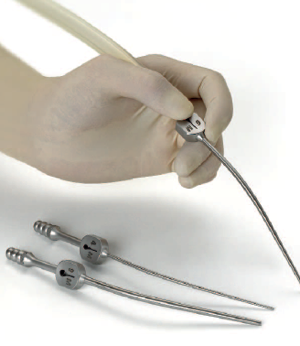 It is imperative that the doctor is able to easily access and delicately maneuver his aspirator needle to the target location to remove the blockage. Ergonomics and comfort for the surgeon is critical to this process to facilitate the surgical procedure, prevent wrist strain and ensure the best control over the delicate operation. 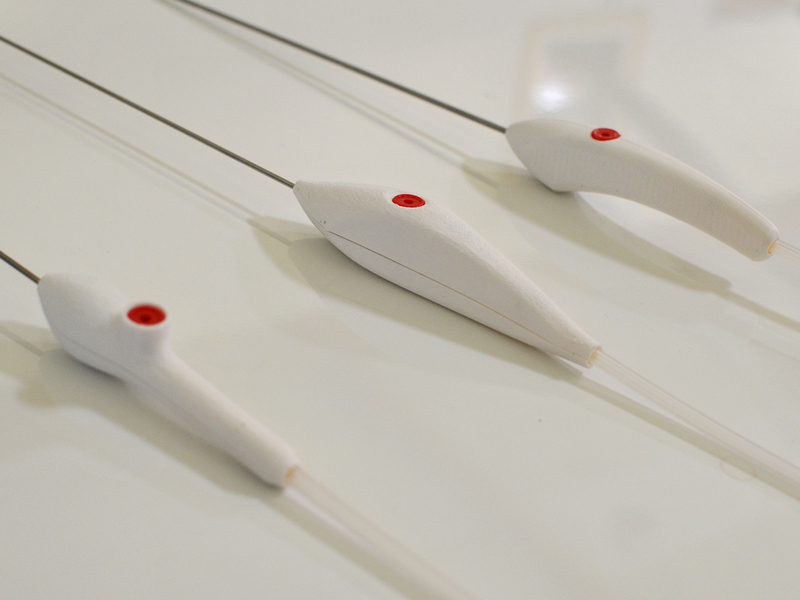 Penumbra came to D2M to redesign their existing aspiration device for removing clots (pictured above) and to develop an ergonomic & attractive enclosure for the Apollo hand piece that is comfortable & balanced, and enables precise control of aspiration. 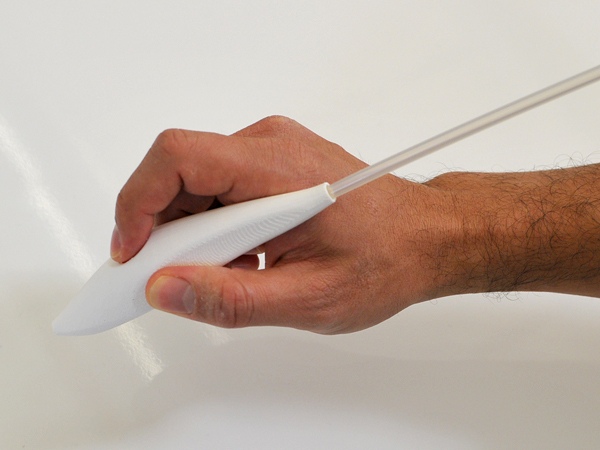 D2M undertook a series of brainstorming sessions, developed a set of sketches which were then further refined to 3D forms and prototyped using our 3D printer to test hand feel and ergonomics. 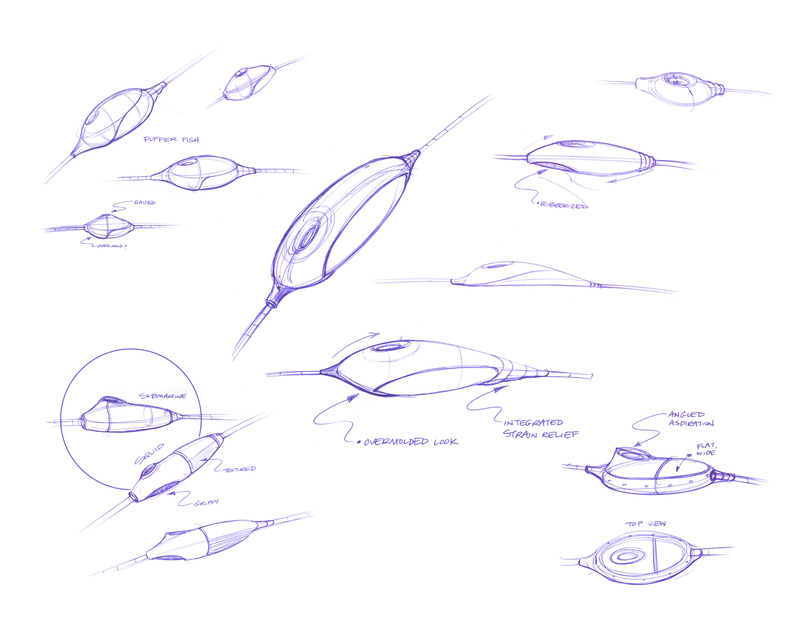 After down-selecting the dozen forms we initially developed, we selected one concept to detail and design the manufacturing details to turn it from an idea to an beautiful, functional, and ergonomic final product which is currently in clinical trials.